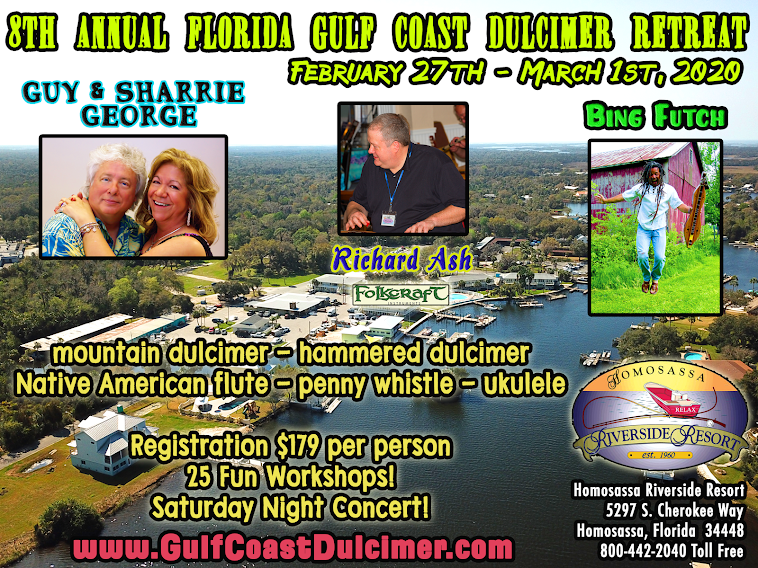 Florida Gulf Coast Dulcimer Retreat with Bing Futch, Guy & Sharrie George and Richard Ash: Day Two! After a chilly, but great, first day - the sun begins to warm us up on the second day as workshops continue in full force! Awesome jams last night and all you can eat blue crabs for dinner. Today's a big day of rehearsals for the Manatee Orchestra, which will perform on Saturday night during the concert. Be sure to share your pictures if you are here with us! If you're not here, it's not too late to join us for the weekend at a per diem rate of $40 per day! 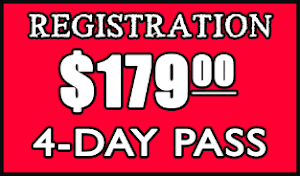 We have a block of rooms discounted at the Homosassa Riverside Resort. Mention "Bing Futch - Folkcraft" to apply. 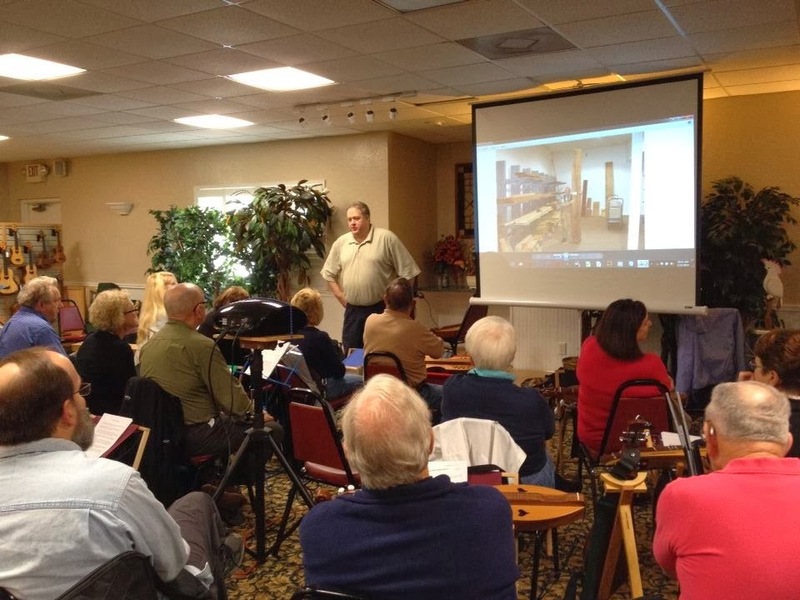 The resort is located at: 5297 S. Cherokee Way in Homosassa, Florida and all workshops and concerts take place here. There are a number of nearby eateries including The Marguerita Grille, The Mill, Crumps Landing, The Freezer and also many restaurants on nearby Highway 19. There is a Publix on the right as you turn onto West Halls River Road from Highway 19. There is also a convenience store on Cherokee Drive as well as a small store at the resort. If you're getting a room with a kitchen, or camping, we highly recommend visiting Shelley's Seafood and Fish Market, which is within walking distance of the Homosassa Riverside Resort. They get fresh local seafood every day - a great opportunity to sample some of the famous fish from the region. There is much to see and do for the nature lover. The Homosassa Riverside Resort has a marina where you can rent kayaks, sailboats, power boats, pontoons boats and more. Chartered fishing trips are available as well as manatee swims and watches. Airboat rides are a Florida tradition and there are several pilots in the marina. Nearby are the Yulee Sugar Mill remains as well as the Homosassa Springs Wildlife State Park with its famous "fishbowl" underwater viewing area of the springs. Day One: Here We Go!